As we all know vegetable salads are packed with nutrients and fibre and are a great way to get our daily serve of vegges.The dish may be served at any point during a meal. The recipe needs patience to cut vegetables and can be had with just salt and pepper. But to make it more appealing and interesting there are many ways to prepare and present it. It is tempting when viewed in the TV cookery shows. To mention one such, is the daily programme telecasted in DD Podigai channel which are really worth watching. All the hosts give their best. These cannot be viewed on net. So I thought I should share those recipes which I noted down. I am posting a salad to start with. The simple salad was prepared by Ramesh Ganapathy. I liked the accompaniment of a dip for this. demonstrating it. 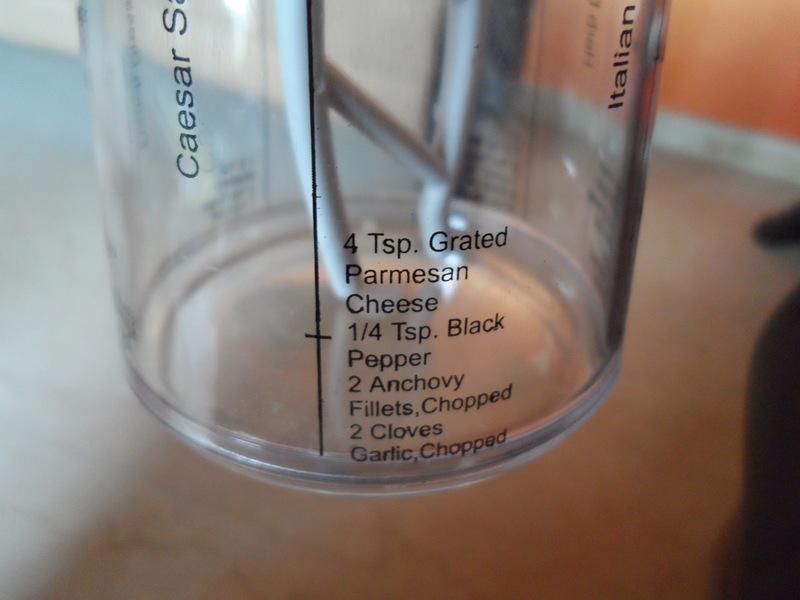 She told to use a small bottle for this purpose and assemble the dressing ingredients and shake well. 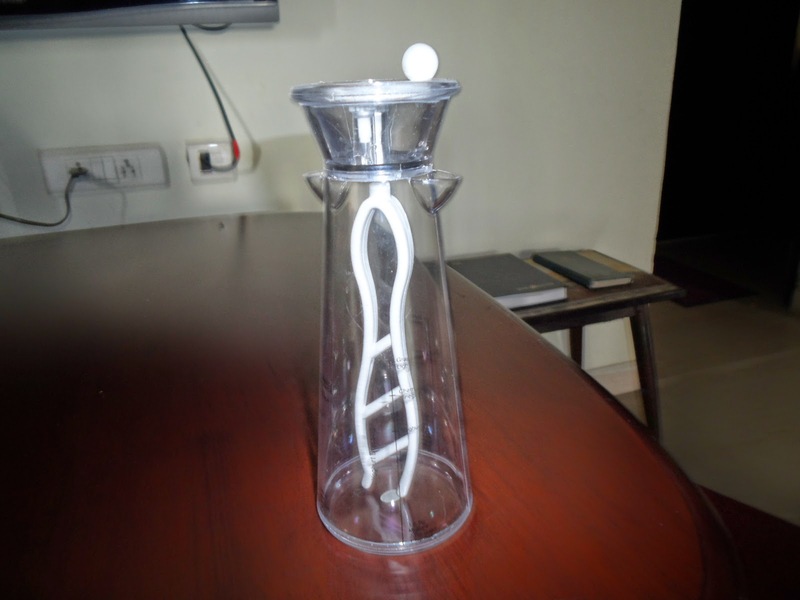 It should be refrigerated and used along with chilled cut raw vegetables for best result. 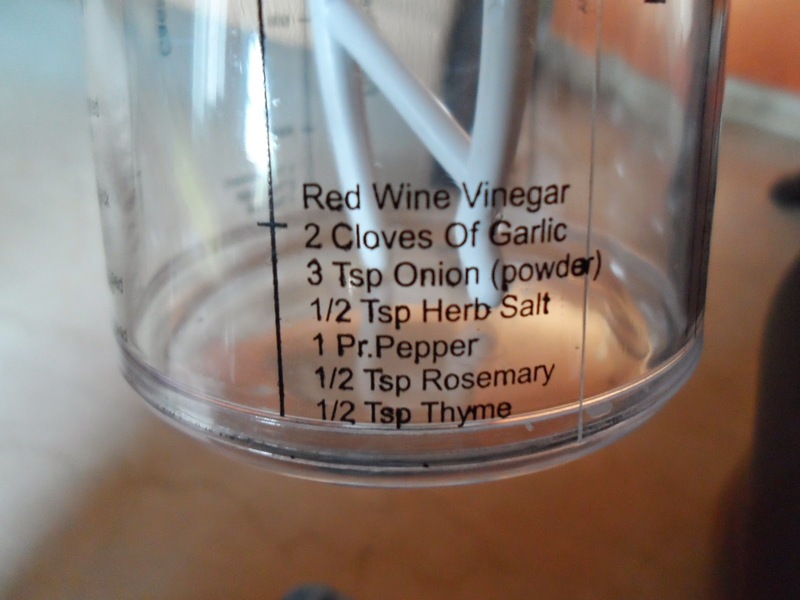 Later to my surprise I saw Salad Dressing Mixer in a Supermarket in Arizona, and bought it. 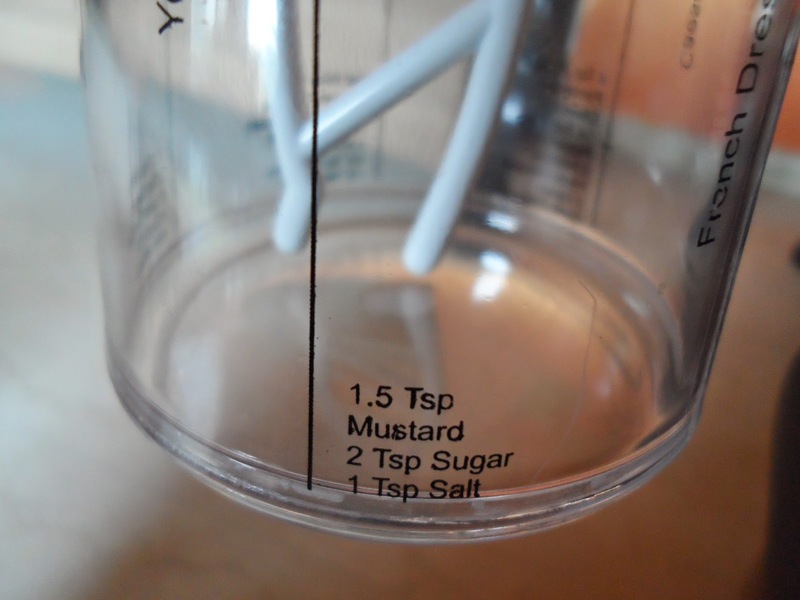 I was doubly happy to posses it as it had the recipes and a neutral millilitre scale printed on the bottle. Less I knew about Vinaigrette, French dressing, Russian dressing then. After watching the Food network channel regularly,I started making different types at home. There are many salad dressing available in supermarkets too. One each of Carrot, Bell pepper (3 colors), Beetroot and Cucumber. Cut vegetables for salad in lengthwise and refrigerate them and use them just before serving. Cut one small size onion and green bell pepper and saute in little oil and keep. In a mixie jar take crumbled paneer, green chilli, salt, mustard seeds, mint leaves and the sauted onion and bell pepper and grind to smooth paste. Add tomato sauce, curd and lime juice and blend again to mix well. 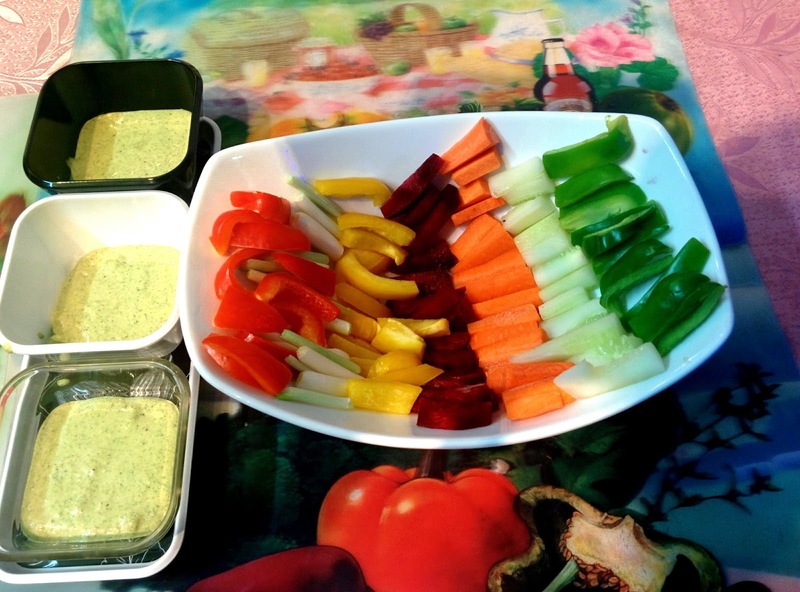 Remove and serve this dip with chilled vegetables. 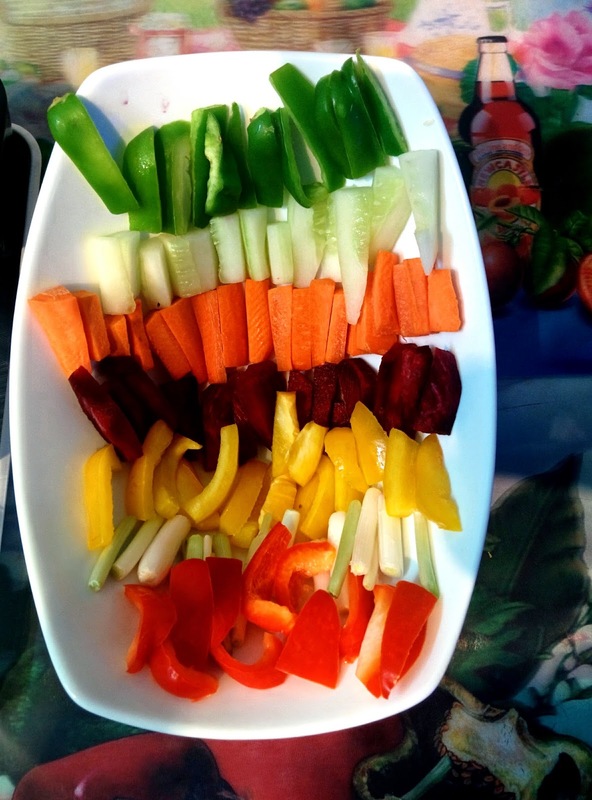 Boost your energy, immunity and vitality by eating raw vegetables that are high in vitamins, minerals and antioxidants. The TV host always concludes his show saying it is a (anbu kattalai) humble order rather than a request to his viewers to try this. I tried couple of times and am happy to share this too.